With 22 players remaining in the $5,000 buy-in World Poker Tour Caribbean main event, Troy Quenneville raised to 26,000 from the cutoff. 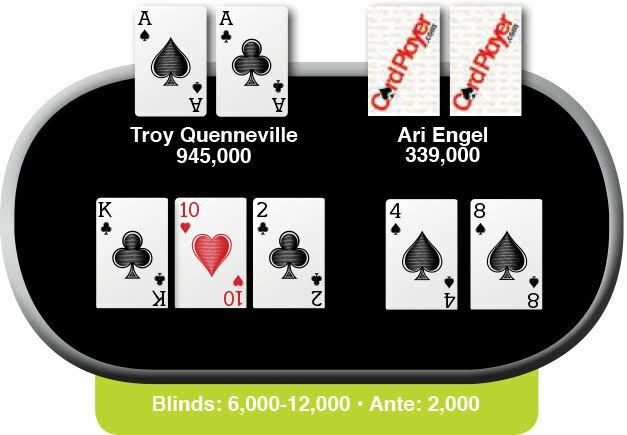 Ari Engel defended from the big blind and the two players saw a flop of K 10 2 . Engel checked and Quenneville fired in a continuation bet of 22,000. Engel called and the turn was the 4 . Engel checked and Quenneville bet 59,000. Engel called and the 8 hit the river. Engel checked once again, and this time, Quenneville moved all-in. Engel had 230,000 behind and eventually called off the rest of his stack. Quenneville showed A A and Engel mucked. What do you think Engel had? Given the board texture, what bluffs are in Quenneville’s range that Engel can beat? What do you think of Quenneville’s oversized all-in bet on the river? Was it an effective way to disguise his hand strength? What do you think of Quenneville’s bet sizing on the flop and turn? Assuming Engel held some form of top pair, what do you think of his line? Could he have learned more information from a check-raise on the flop? Engel was eliminated in 22nd place, taking home $13,000. Quenneville dragged the pot and even managed to get heads-up, earning $220,000 for his finish. The eventual winner was Niall Farrell, who banked $335,000 and his first WPT title. Farrell, an EPT champion from 2015, now has more than $3.1 million in lifetime live tournament earnings. 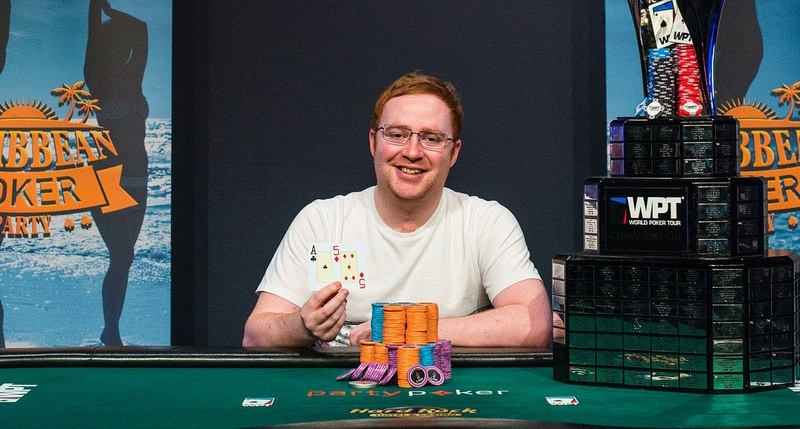 The Scottish poker pro, who has a law degree, also has two runner-up finishes at the WSOP.